Conjugal violence is always exercised in the context of an intimate relationship, whether past or present. Conjugal violence is a way to control another person and not the result of a loss of self-control. The perpetrator uses several strategies in order to dominate his victim and make sure she does not leave him. 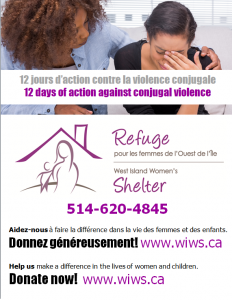 The absence of intervention for a large number of women and children who are victims of conjugal violence.